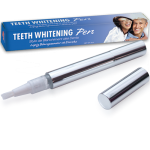 Beaming White offers plastic and metallic teeth whitening pens in the two most common sizes: 2mL and 4mL. 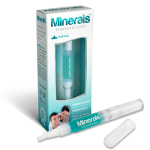 We also have a 1.2mL plastic pen, which is the one that comes in our Tan White kit. Of the metallic pens, we have 2 finishes, namely Brushed Satin and Shiny Metallic. We can also get shiny metallic pens in different colors, and they look great, but they are a special order item. Except for Forever White, the teeth whitening pens come without a logo or any printing on them. For orders of 1,000 or more and a supplemental charge, we can pad print your logo on the pen. You can also get pens with a label of your design. We have pen boxes without branding, and for large orders we could print individual cardboard boxes with your design. 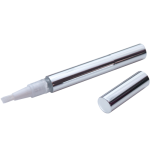 All the pens are available with any of the gels we offer.